I've started my own blog website for articles on Cubing, Sports, Current Issues, Games and Mental Calculation. Recently I've realised that I do a lot of statistical analysis and investigation for fun so it's time to start sharing some of my findings! 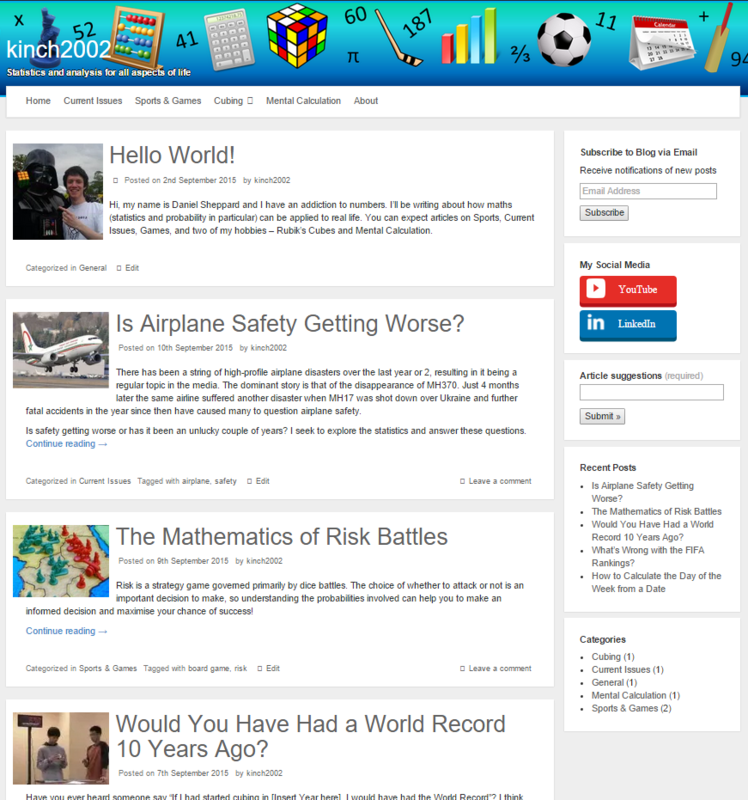 There are a few articles on there already for you to enjoy...cubing development, human calendar tutorial, FIFA rankings, airplane safety, risk battles. I hope that you guys at least find the cubing articles interesting! just a short question about kinchranks, how often do you update them? Edit: oh and I only can scroll up to the middle of "skweb", is it just because of my browser (safari) or happens this to other people too? Are there no single kinchranks? Thanks for writing this, this is really interesting reading. I really like your " Would you have had the world record 10 years ago? ".